Modmarket was started by two people who wanted tasty, fresh, simple, quick but well-priced and healthy food. This resulted in the nine currently open Colorado locations as well as three restaurants in Texas. 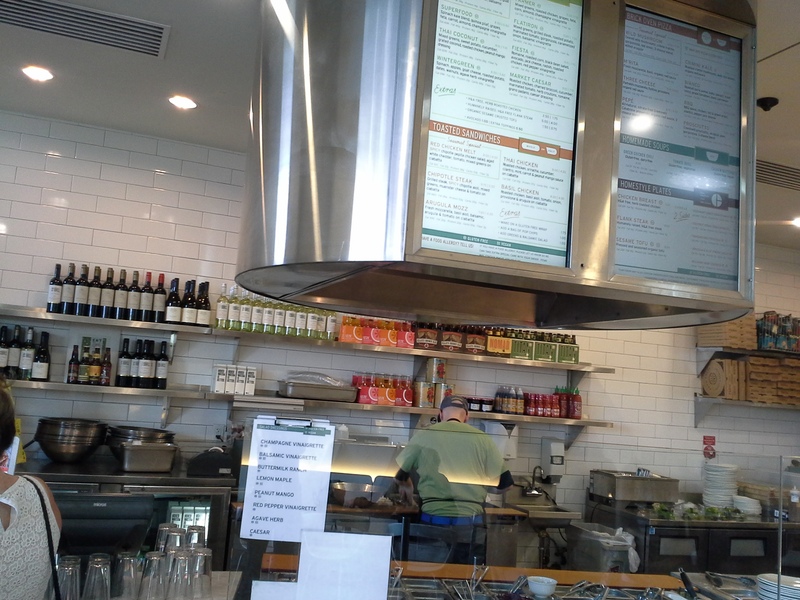 The menu offers a variety of salads, sandwiches, pizzas, soups and home-style plates. The menu accommodates gluten-free eaters like myself, and all gluten-free and vegan items are clearly marked. The calorie-counting diner will find nutritional facts listed underneath each menu item, making it easy to stay on top of one’s dietary needs. Upon walking in, I was faced with a long line and one cashier. To my surprise, I spent no more than 10 minutes inside the restaurant. The staff was semi-friendly, but they were dealing with the dinner rush, and I was still greeted, thanked and received my order without mishap. I ordered the home-style chicken plate with my choice of sides: balsamic carrots and smashed red potatoes. The potatoes were a favorite among everyone who got to try them. The chicken was juicy and well-seasoned, sliced thinly for easy serving. The carrots were well-steamed and the balsamic glaze didn’t overwhelm, providing the right amount of flavor. The seasonal mushroom pear salad was less impressive. The mushrooms were well cooked, but hidden in the mixed greens. The pecans and goat cheese were sparse, and the thinly sliced pear on top of the salad was unimpressive. Overall, Modmarket’s food is consistent, fresh, but slightly overpriced for the small portions. It is a great fast casual restaurant for the calorie conscious diner who wants a delicious meal that won’t overstuff the belly.